A no-confidence motion was filed against the Government last month before the date of announcement of the budget presentation. There is debate on when the no-confidence motion can be heard and its meaning. I researched the issue while visiting the United Kingdom where several Members of Parliament have written to the Speaker of the House of Commons asking for a no-confidence motion against the Prime Minister. Parliamentary conventions dictate that the no-confidence motion takes precedence over other matters. The parliamentary leader of the coalition, Prime Minister Moses Nagamootoo said debate on the motion is not a priority of the Government. It should be. Ironically, a similar no-confidence motion was filed by Nagamootoo against the People’s Progressive Party (PPP) Government in November 2014. The AFC made it a priority and demanded immediate debate. The PPP Government respected that motion and made it a priority, so much so that no other matter was discussed and Parliament was dissolved because the Government lacked numbers to pass the floor test. A no-confidence motion must be heard urgently (immediately) unless there is a more compelling piece of legislation before Parliament. It is a debate to hold the Government accountable for its policies and laws. It is common for a government to face a no- confidence motion when it badly loses a local or state election. A no-confidence motion is a very important proposed act or mechanism on whether the elected body has confidence for the continuation of the Government. Its purpose is to expose the errors and blunders of the Government with the hope of toppling it when a vote is taken. Once debated and voted upon, and if passed by a simple majority, the Government resigns. New elections are immediately triggered – it had happened in Germany, the UK, Australia, Canada, Barbados, India, New Zealand, etc. As is the convention in parliamentary forms of governance, any important piece of legislation, like those pertaining to budgetary matters, is also considered as a no- confidence motion and several Governments were forced to resign after losing budgetary bills. If a government can’t get its budget approved, as Foreign Minister Carl Greenidge noted last week, it must also resign. But a budget debate and vote can’t replace a no-confidence motion which is specific and different from a budget vote. The research on no-confidence motions reveal that such a parliamentary motion is debated in the order, it is presented as a proposed act of parliament. 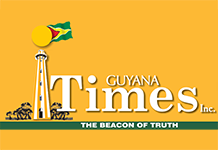 In the Guyana case, unless the proposed budget presentation was tabled before the budget presentation, then the no-confidence motion takes precedence. Experts also feel that a no-confidence motion should take precedence over a budgetary matter or other legislative acts even if filed after those. In England, where I was last week, there was discussion on a no-confidence motion filed by several Members of Parliament. It requires 48 MPs to write to the Speaker asking for a no-confidence vote. The numbers are growing and there could be one soon in the UK. The no-confidence debate and vote supersede all other motions or debates, including a budget. It is accepted that if a parliament does not have confidence in the Government, then there is no point in presenting a budget or other legislative act. New elections will have to be held and the new government will have to prepare the budget necessary for Government functioning. Once a motion of no confidence is presented to Parliament, it must be debated before new legislative acts, including the Budget, unless the mover of the motion or Parliament agrees to put off the debate. The mover has to withdraw the motion. Several motions of confidence were presented before the Parliament in Trinidad (between 2010 and 2015) and they took precedence over other proposed debates. In Guyana, in late 2014, then President Donald Ramotar accepted that a no-confidence motion filed under Nagamootoo’s name and supported by the A Partnership for National Unity – APNU (PNC) took precedence over other matters. Ramotar recognised and accepted that the no-confidence motion took precedence over other matters. Instead of debating the motion, Ramotar prorogued and then dissolved Parliament. He should have made deals with the Opposition (like forming a coalition) that would have seen him retaining office and the presidency perhaps until now. He gambled with fresh elections and was ousted from office by the Granger Administration. Once a no-confidence vote is taken and the government loses, the vote can’t be reversed by replacing Government MPs who voted against the Government. There can’t be another vote. The Government collapses and new elections are held. Any other act is unconstitutional.